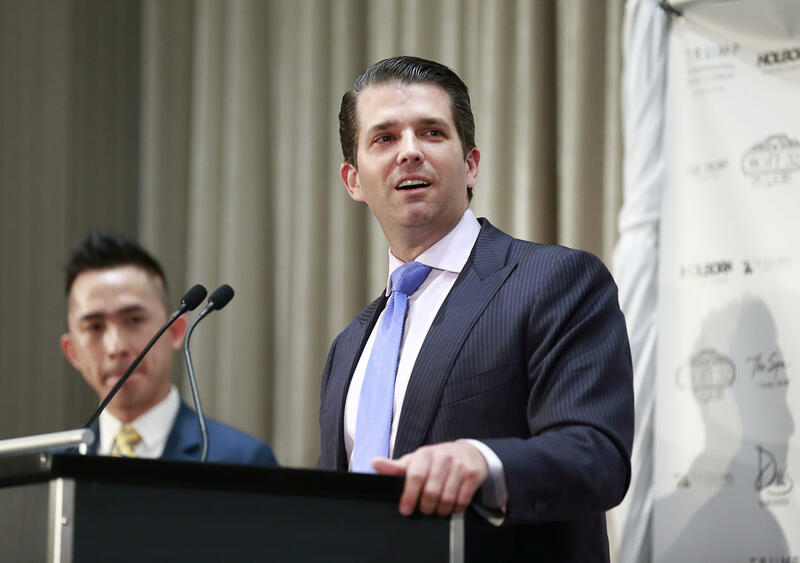 Congressional investigators are interested in obtaining phone records pertaining to Donald Trump Jr.'s June 9, 2016 Trump Tower meeting with a Russian lawyer, CBS News has confirmed. CBS News' Jeff Pegues reports that a congressional source says there is "high interest" in obtaining cell phone records and phone records in general around the meeting, which Trump Jr. had agreed to because he had been led to believe that the lawyer had damaging information about Hillary Clinton. And there is also interest in the email accounts of all of those involved in the meeting. In addition to Trump Jr., Jared Kushner and Paul Manafort also attended the gathering. A congressional source says "we want all relevant documents" connected to the people in the meeting. Investigators would want to know all that was discussed between the parties, before, during and after the meeting. Interest in that meeting has increased, a day after the White House confirmed that the President played a role in crafting the initial misleading statement about the meeting. For weeks Mr. Trump's personal lawyer and the White House denied that the president had anything to do with the statement which was attributed to Donald Trump Jr. There was also no effort apparent effort to correct the record. On Capitol Hill, a once-outspoken Republican defender of Mr. Trump is sounding more like a critic. When he was asked to respond to the new revelations about the president's role in producing the statement and about the Trump Tower meeting itself, Idaho Senator James Risch said, "I guarantee you there were phone calls in addition to those emails, and I want to hear all of it before I answer the question you put to me." Risch serves on the Senate Intelligence Committee which has an ongoing investigation mirroring the probe underway by the House Intelligence Committee.